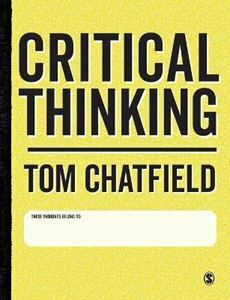 Quick overview Your personal toolkit for critical thinking provides a power pack of resources to sharpen your skills. It teaches you what critical engagement is, and what thinking and writing skills you need to master to succeed in your essays and coursework - and in life! Do you need to demonstrate a good argument or find more evidence? Are mystified by your tutor's comment 'critical analysis needed'? What does it really mean to think well - and how do you learn to do it? Critical thinking is a set of techniques. You just need to learn them. Spot an argument and get why reasoning matters Sniff out errors and evaluate evidence Understand and account for bias Become a savvy user of technology Develop clear, confident critical writing. Designed to work seamlessly with a power pack of digital resources and exercises, you'll find practical and effective tools to think and write critically in an information-saturated age. No matter whether you're launching on your first degree or arriving as an international or mature student, Critical Thinking gives you the skills, insights and confidence to succeed.